Really excited to have Jannali back with us for a few dates in Spring! She will be with us for the following dates: 1st - 6th April 2019. Jannali is well-known established Artist originally from Cornwall, now focusing on her career through travelling she is joining us for a few dates on her next trip home! She is FULLY BOOKED on this visit, but keep an eye on our Social Media pages for cancellations and future dates. After completing her apprenticeship in Falmouth, Cornwall, Jannali now travels throughout Europe as a Guest Artist to further her career and knowledge along the way. 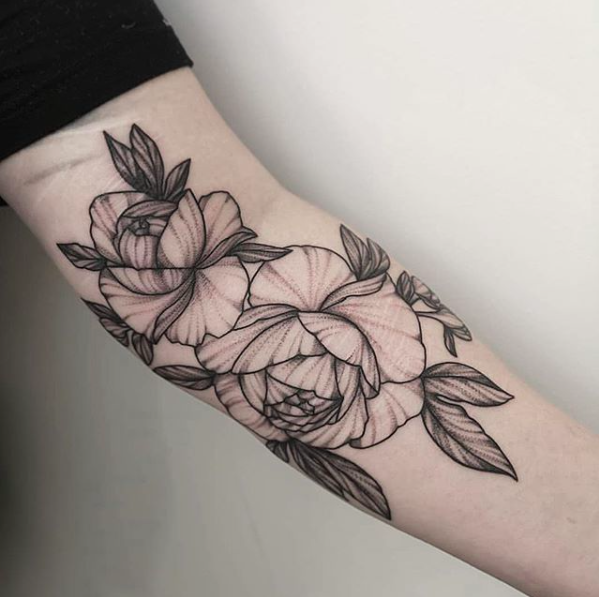 Describing her style as Botanical Linework, she uses her interest in gardening and nature and translates this into her designs and artwork. 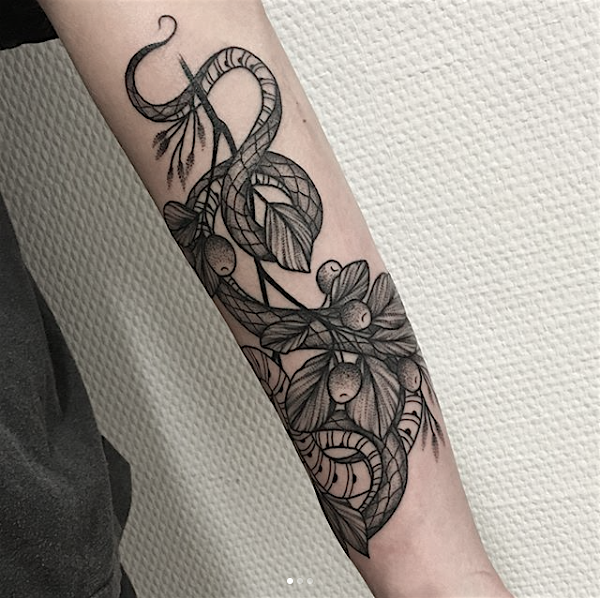 Creating beautiful, flowing botanical tattoos. For appointments please contact Jannali directly: jannalitattoo@hotmail.com or alternatively get in touch using our Enquiry Form.